Wolfe's parents were active nationalists before and during the War for Independence (1919–1921). Catherine Wolfe's younger brother, Con Colbert, was a leader of the Easter Rising of 1916 and was executed at Kilmainham Gaol, in Dublin. Richard Wolfe ran a pharmacy on New Street in Abbeyfeale that became a hub of nationalist activity, and in 1920 it was burned by the Black and Tans after the Irish Republican Army killed a local constable. In October 1934 Hanora Wolfe matriculated at the Saint Louis Secondary School in Tirkeenan, County Monaghan, run by the Sisters of Saint Louis. After she died, an unknown nun who delivered her eulogy recalled that Wolfe was "by her own account, a bit of a tomboy, often disregarding the rules and getting herself into trouble. Such unseemly behavior was evidently no obstacle to pursuing a vocation in religious life." In August 1935 she began her novitiate, taking the name Sister Ide, after Saint Íte, of Killeedy, in West Limerick, who lived in the fifth century. Two years later, in August 1937, Sister Ide took her vows. She taught in Aylesbury, Buckinghamshire County, England, and then in Balla, County Mayo, Ireland. 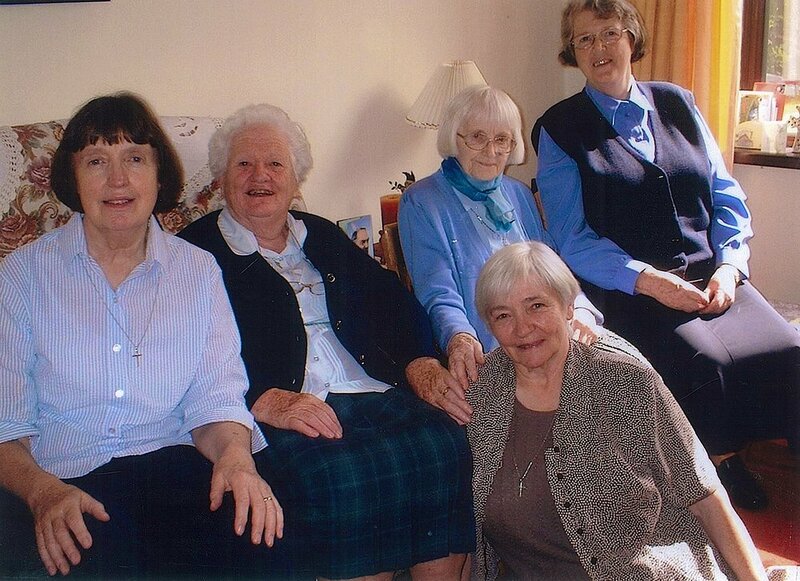 In 1946, she was appointed assistant mistress of novices at the convent in Monaghan. He eulogist recalled that Sister Ide "gained a reputation for being tough, strict, forthright, a straight talker who shot from the hip but at the same time she was always fair and just." After four times being refused foreign missionary assignments, Sister Ide trained as a nurse in England and then as a midwife in Drogheda. She eventually was sent to Ghana, in West Africa, where she ran a hospital. She later worked as a nurse in Nigeria and trained for a year as a hospital chaplain in San Francisco, where her brother, Father Michael Wolfe, was then living. She then became the Catholic chaplain at the City Hospital in Belfast, Northern Ireland, tending to the sick and dying until she herself died on July 4, 2015, at Musgrave Park Hospital, Stockman's Lane, Belfast. She was buried in that city's Hannaystown Cemetery.